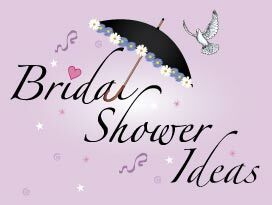 Welcome to the website that provides ideas for everything you need for a Bridal Shower - Free! Our selection of Free Bridal Shower Games will ensure that you have fun at your party. We have a great range of funny Bridal Shower Games to choose from to ensure that your guests are laughing and have a great time. The following links provide access to some great printable games complete with the aim of the games, instructions and and any preparation required. Browse through our list of games for bridal showers and start planning your party to celebrate with the bride-to-be! Have fun with our free Bridal Shower Bingo Game! Nearly everyone enjoys playing a good game - but which games are the most suitable and how do you play them? Problem solved - just check out of selection! We have something suitable for all the guests regardless of their ages. Get some great ideas for Bridal Shower Games to make your party fun! If you are planning some party games then add to the fun and have lots of little favors to give out as gifts or prizes! Free, printable games for showers! If you are throwing a party to celebrate impending nuptials you want to ensure that your guests have a great time - our ideas for party games are great and it's easy to include them in your party planning. We have a vast selection of ideas with free printable games. No downloads and no high price to pay! Just browse through our selection of ideas and print off the games instruction sheet! All of our popular games are suitable for a group to play. Many of our free, fun collection of Bridal Shower games also provide free printables - saving you lots of time. Just print off as many sheets of Bridal Shower Games as you need ready for your party. Our fun and funny games are suitable for all ages to enjoy. Our printable games are complete with the aim of the games, instructions for the games and and any preparation required throwing the party. Our list of the most popular games to play at parties include A To Z Game, Secret Spices, Top Tips Game, Name that Star, Printable Bingo Games, Bingo Cards, Guessing Game, Word Scramble, Jeopardy, Left Right Game, Memory Game, Nursery Rhyme Game, Name Game, Hair Pins Game, Questions, Scramble, Unscramble, Bridal Builder, Word Scramble, Word Games, the Yarn Game and Yeah Games - everything you need for popular fun activities at your party! Check out our free Bingo game. The minimum number of players required to play our Bingo Party Game is 2 but the game can be played in groups or teams provided each person or team has their own Bingo Card. All of the Bingo cards and Bingo boards are free printables. Free, Quick and Easy Bridal Shower Games! Last Minute Party? Quick and Easy Ideas! It is less stressful to plan the games in advance but if the party is a last minute idea then our instruction sheets are perfect. Quick and easy instructions for games to print instantly. Finding instructions for games that are all free and quick to print will definitely take the stress out of planning for last minute events. Just print off as many instruction sheets as you need ready for your Bridal Shower Games and party. Throw a party! Popular, Fun and Funny Shower games! Great Ideas for Bridal Shower Games! Party Hosting Hints, Tips and Ideas for Bridal Shower Games! Free Fun Shower Games - Free to Print! Bridal Shower Ideas! Top Tips! Our selection of Shower Ideas includes our unique printable Bridal shower invitations. Top ideas for Bridal Shower Games! Fully personalized and homemade Bridal shower invites and thank you cards are not only easy to make and print with the addition of photos but are also cheap to make! Our list of the most popular games to play include A To Z , Name that Star, Printable Bingo shower games with Bingo Cards, Top Tips game, Word Scramble shower games, Left Right shower games, Memory games, Nursery Rhyme, Name Games, Secret Spices, Questions, Scramble, Unscramble, Ultrasound, the Yarn and Yeah Games - everything you need for popular fun shower games and activities at your celebration and party!